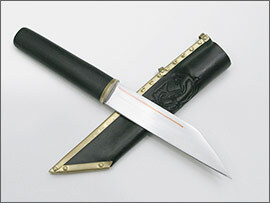 Posted: Mon 06 Sep, 2010 10:04 am Post subject: THE WINNER: Back-breaking Seax! We just finished our Back-breaking Seax contest! Addison C. de Lisle wins the prize!! He beat out 621 other entrants in his victory. Please take a moment to congratulate him on the win! I want to take a moment to remind everybody that this prize was graciously donated by Michal Plezia of Elchon's Workshop. This donation was completely unsolicited and I want to say how much I appreciate it. These contests are fun for me. I hope they're fun for everyone involved. Stay tuned for more contests here at myArmoury.com! Soon. Very, very soon! Congratulations on the prize! You are really lucky to obtain such a nice blade. And thanks to Michal for the contest! Way to go Addison! Nice prize to win. Wow; that's awesome! I can't wait to see it in person. Thanks very much to the myArmoury team and to Michal Plezia for making these wonderful contests possible! Congratulations, Addison! That is a beautiful little seax. Congrats Addison! You are now a contest winner! Nice little piece there too! Ummm... I don't have anything witty or interesting to say, so short and simple: Congratz. Congratulations on winning a very nice prize! Enjoy your new piece. Michael's work does not disappoint. Congratulations and as also a past contest winner it is very much a special thing to have a prize from " myArmoury " as it's more than just the thing won but also a prise that reminds one of the friendships made here over the years and how much fun this place is as well as a place to gain and share knowledge and a passion for period arms and armour as well as the even wider related field of history. ( Hmmmmmm, one of my longer run on sentences. ). Also, great thanks for Michal's generous and unsolicited gift of the prise seax. 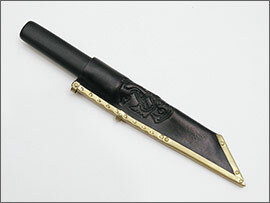 Posted: Tue 07 Sep, 2010 11:19 am Post subject: Re: THE WINNER: Back-breaking Seax! Michal, thank you for donating such a wonderful prize! I received the seax today; it's a pretty nice piece. Thanks again everyone! But there are always subjective impressions that may differ or add to the review. I'm glad you like it. The seax was made almost a year ago, so it does not fully show my current level, but IMHO it is still a nice piece anyway. Posted: Sun 26 Sep, 2010 9:09 am Post subject: Congratulations, Addison!